Gary Ryan - Beyond Being Good: Defeat Your Enemy - Resistance! 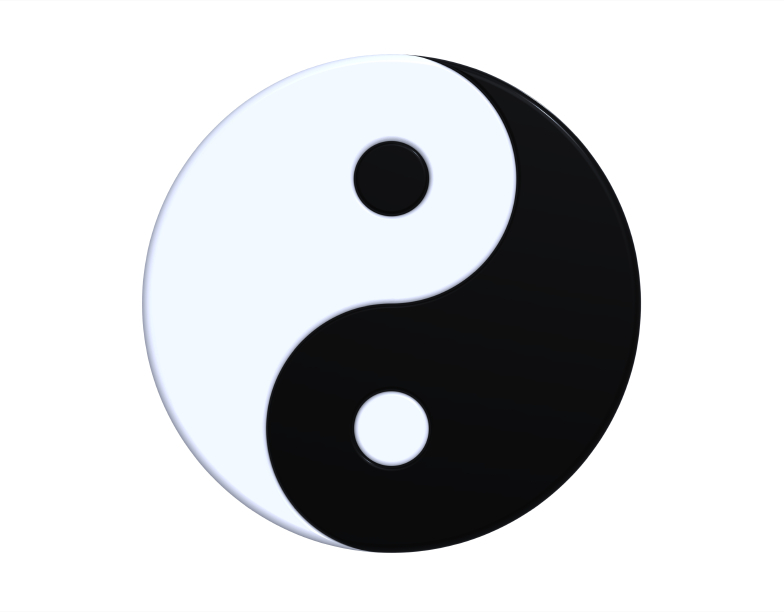 Eastern cultures have taught us that there are equal and opposite forces that co-exist and influence our lives at the same time. Each force cannot exist without the other. Day cannot exist without night. Courage cannot exist without fear. Good cannot exist without evil. These forces are known as Yin and Yang and are present in our lives every day whether we realise it or not. I urge you to be the best that you can be; at home, at work, in the pursuit of your passions. To be fair I have to let you in on a direct consequence for such choices. This consequence is something that you will recognise but prefer not to know. But you need to not only know this consequence but you must understand it as much as you understand yourself, maybe even more so. Failing to understand this consequence places the future you desire in grave danger. When you decide to take action to create a better life an equal and opposite force is automatically released. This force is RESISTANCE. Its purpose is to stop you from creating the success and future you desire. In short it wants to kill your ideas, your passion and your creations. It never sleeps, has a high intellect and is prepared to use the dirtiest of tricks to stop you from creating the life you desire. You need to be aware of this force right now. If you are not sure what I mean, think about every great idea that you have ever had or any major task that you have decided to undertake. Did those ideas see the light of day? Has your song been published? Did you start that club? Have you lost the weight you decided to lose? Have you kept that weight off? Have you learned to play the guitar? Did you speak to that fellow student who you identified as someone who could help you to achieve a higher grade? Did you cross the room to introduce yourself to that attractive person with whom you had momentarily met eyes? Did you update your resume and apply for the ‘perfect’ job that you saw advertised? Did you make a stand against a decision that your boss was making because deep down you knew that it was wrong? Why didn’t you do those things? The answer; RESISTANCE! Right now don’t be surprised if resistance is at work challenging you to stop reading this message. “This guy is full of crap. Don’t keep reading this stuff he’s trying to use some form of hocus-pocus to get you to do something you don’t want to do. Plus, you don’t have the time to read this stuff!” If these thoughts are in your head right now then you know RESISTANCE exists. It is important to note that resistance is impersonal. It doesn’t just pick on you – it selects everyone. We all have to fight resistance or let it rule our lives. It is ruthless and unending in its attempt to de-throne you from your ideas and your attempts to create a better life. If you don’t believe me, then why haven’t you already created the life balance and personal success that you desire? Where does this resistance come from? It exists in you, but it isn’t you. This may be hard for you to understand, but it is essential for you to grasp if you are to win your battles against it. You are not your thoughts; like the weather they randomly enter your mind. Resistance likes to take hold of your thoughts and to create chatter in your mind that clouds your desires. It attempts to create fear; fear of success. Yes, that’s right; resistance likes to create fear because fear is its fuel. The idea of being successful is one thing; actually being that success is another. Resistance likes to create fear to stop you from creating the success you desire. Resistance can be manifest in the people around you; your partner, family, friends, colleagues and bosses. But any resistance coming from them only serves to fuel the resistance inside you. The resistance inside you is far more powerful than any resistance external to you. In fact, resistance is strengthened every time you believe that whatever is stopping you from creating the life that you desire is because of someone or something else. I know from my own experience that resistance grows in stature the closer I get to completing a project. The last 10kms in a marathon are the hardest to complete, more because of the chatter in my mind than the aching in my legs. The hardest part of publishing my first book was pressing the ‘send’ button for my final draft to my publisher. “What if this thing is a flop? What if I don’t sell a book. It owes me thousands without counting my time and effort. What if people don’t like it? I’ll be publicly humiliated!”. If you have ever lost weight, then you know resistance. Resistance is most powerful when you reach your target weight. Yes, that’s right folks; it is at its most powerful at that point in time. “How?” you ask. It is at the point of reaching your target weight resistance awakens with all its fury. It does everything in its power to stop you from doing the habits that enabled you to achieve your target weight in the first place. It creates chatter in your mind that it’s now okay to have a little bit of this food and a little bit of that food and you don’t need to exercise today, after all look at yourself, you look fabulous. Before you know it more than half the weight that you had lost has been put back on. As mean as resistance is, it is selective. It doesn’t present itself when what you are doing is taking you away from the life balance and personal success that you desire. It doesn’t lift you off the couch when you are watching episode after episode of mindless reality TV. It doesn’t stop you from eating more chocolate than you should, from sleeping in, from missing a deadline or forgetting to say thank you to your spouse for cooking dinner. It doesn’t stop you from taking on more and more duties at work even though all these tasks are doing is taking up more of your time and preventing you from doing the things that you really need to do to create the life you desire. While resistance can’t be seen, touched, tasted or smelled, it can be felt. It is that awkward feeling you get when an idea or action pops into your mind and you know that it is a good idea or the right action to take. But that feeling you get quickly stops you from taking any action. In resistance’s incredibly astute way that feeling disappears as suddenly as your idea or your intended action fade to a distant if not extinguished memory. Resistance’s desire for you not to become your best has been satiated so it no longer needs to create the feeling it generated to stop your idea or action. Remember resistance possesses a cunning that is unmatched and it will sneak up on you like a leopard stalking its prey. Resistance can also come from those who love you the most. When you change, if even for the better it can be scary for them. Because they love you they will get used to you changing but maintain your awareness that they can behave in ways to stop you from improving. One such example may be putting pressure on you not to spend time on improving yourself. In its extreme, the type of resistance I’m describing is present when a street gang member attempts to leave the gang. “Who do you think you are? Do you think you are better than us?” While this example represents an extreme version of external resistance from the people around you, the same sort of behaviours can be exhibited by people close to you when you try to improve yourself. What can you do about resistance? First, you must accept that it exists. If you don’t it will blind side you at the first opportunity and you won’t even know. The proof will be that your ideas and the life that you had hoped to create will be left as ideas or even worse as fuzzy memories. Second, you have to be prepared to battle resistance every day. This is no ordinary battle. As Steven Pressfield says in his book Do The Work this is literally a fight to the death every day. You can defeat resistance and you can slay it. But it will rise again tomorrow and take you on once again. Think of any of your life achievements so far. Were they plain sailing? Hell no! You had to work hard to overcome many obstacles. Where did those obstacles come from? Resistance! Remember the character Michael Corleone played by Al Pacino in The Godfather III? He is trying to legitimise his business and move away from crime related activities. But his family and associates keep killing people. Michael remarks, “Just when I thought I was out…they pull me back in!“. Even Michael, as powerful as he was, had to fight resistance. The good news is that you can defeat resistance, one day at a time. You already have. Any success or improvement in your life that has taken you closer to being the person you desire to be provides you with examples of having slain resistance. Draw on these examples to give you the confidence that you can, and will, defeat it again and again. On the odd occasion when resistance defeats you, use your knowledge of your past successes to give you the confidence to take it on again. Interact with other people who understand resistance and who are able to defeat it. Let their successes give you energy for your battles against it. The Yes For Success Program exists to help you win your everyday fight against resistance. When you win a battle, the Yes For Success community wins a battle. Your success is the community’s success. Sharing your successes when you defeat resistance provides both encouragement and energy for others. Likewise the successes of other community members provides encouragement and energy for you to take on this mighty foe! After all, we’re all fighting resistance, myself included! Take action to defeat resistance now. Join the Yes For Success Program and take the execution of your strategies for life balance and personal success to another level. If you have read to this point of the article then you understand the power that resistance has – win your first battle and at least check out what the Yes For Success program includes. Click here now.